Camillas inclusion had shocked and appalled many at the time. I had written of it as well in indignation, with no intention of masking the antipathy, wondering how on earth could Camilla be a part of the ceremony in memory of Diana despite being someone who had played a pivotal role in her misery. For whatever its worth, Camilla has not attended the function held today, for obvious reasons. She was sharp and incisive enough to sense the mood of the general public for who Diana was yet the ‘Queen of Hearts’ . Camilla, had she attended might have been hopelessly ignored, overshadowed or perhaps too embarassed to witness first hand the open adulation towards Diana and on the other hand paled into insignificance considering her own popularity meter. Whatever the reason I for one am glad she stayed away. Pretense, guile and cleverness may have got her a place besides Prince Charles, but would in no way get her a a place in the hearts of the common man. 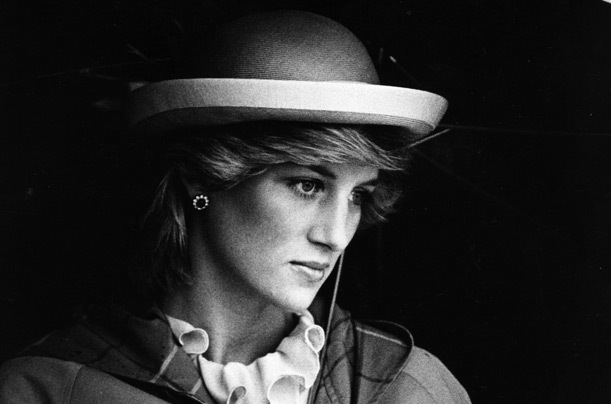 The news of Princess Diana’s death had brought in its wake a deep sadness and nudged an inevitable questioning as to the manner in which we mortals seek the’ ever elusive’ strain of happiness. If a Princess endowed with beauty, wealth and grandeur had lived her life as if chasing a dream, an impossibility, a mirage, only to get sucked into the illusion of a ‘happily ever after’ love story, then this , if anything, is an exemplification of the fact that happiness is not a commodity, to be acquired, but a verb, to be achieved, painstakingly..A paradox in itself. What makes Dianas story an eternal Greek tragedy however, is the report that her two sons Princes William and Harry, had invited, to the memorial service of their mother, the second wife of Prince Charles, Camilla their step-mother and the woman alleged to be largely responsible for the turmoil and strife in Dianas life. That Prince Charles displayed the gumption , gall, to marry the much older, Camilla, soon after the tragic death of his wife Diana, thus vindicating Dianas accusations that there ‘were three of them in this marriage’, was to most sensitive, righteous people a distasteful act which demanded condemnation. It stank of a ‘devil-may-care’ stubbornness, elaborating on the unfairness of a ‘to-be-monarchs’ disloyalty to his marriage partner, as if in complete abandon of responsible and ethical behaviour. His act as if put into words an attitude that spoke of him as a man who took his “titular head” title with inappropriate seriousness, in the sphere of his personal decisions..A King can do no wrong?? Life plays cruel tricks..No monarchy, Crown, or Kingdom can insulate one from angst of human suffering. A crown on the head can soon transform into a crown of thorns, tearing, searing into the flesh, ripping apart any joy or hope for fulfillment. This was what Diana must have felt from the deepest core of her being, at those umpteen occasions, when stories of her husbands treacheries, engulfed her. One would have expected her sons who, having been privy to her turmoil, to recoil with disgust at their father marrying the woman who had maliciously come in the way of their mothers happiness. Even if one were to philosophically and practically view their acceptance of having a step mother, yet the news of having embraced Camilla into their lives so completely, so wholly, enough to invite her to the memorial service for their mother, was as if defiling whatever remained of her, in their memory. It was as if she had lived and died in vain. She lived only perhaps to prove to the world that one ought to look for contetment in things beyond the material and also to illustrate how being the focus of media attention is life threatening..literally. She died, being chased by the Paparazzi. She provided Charles with heirs, who now seem to have forsaken any emotions over their mothers death in what appears to be a stance which reeks of being ‘worldly-wise’..They have everything to gain from being Charles sons..what good would it do being mourners of their mother Dianas death?? Why live in a desultory past when a glorious future lay ahead? Charles role in the matter can never be over estimated. He has insiduously manipulated to have it all…Camilla, his sons and respectability for his bizarre liaison! Death is a finality, an end. Not merely of life..but relationships. Children are fast learners these days. Someone ought to tap him on the shoulder and remind Charles of his own mortality…Nemesis will strike…Children will forget..yet another time. Camilla was smart so she stayed put at home ..waiting for Charles to finish his duties and come back to her. she is concerned with the bottom line which is she has charles!! I cant see what charles sees in her ..shes ghastly. on dianas tenth death anniversary, camiilla was invited by dianas sons.She was smart enough to avoid knowing public disapproved..the controversy has been raging since last year. Diana was no match for Camilla in shrewdness..in life or in death. But the acceptance of Camilla by Charles children is quite shocking.Like you said maybe the raison d’etre was ‘why live in a desultory past when a glorious future lay ahead’..worldly wise. Forgot to add.. Just loved the snap of Dianas. Never seen before.Where did you manage to dig it up? I was at work that Sunday morning when I heard that we (the world) had lost Diana. I remember falling against the wall, feeling like someone had knocked the wind out of me. To me, that showed the impact she had. I think of her often and now hope that she may rest in peace. Kaveeta Kaul I enjoyed reading your thoughts. Keep it up!! Di was a miserable person. Yes money, expert advice and appropriate exposure made her look wonderful, but at her inner most core she was a low life, conniving manipulator and eternally miserable. Even if she had been with the world’s best lover (who’s name shall still remain concealed), a mercy to womankind, she would have been miserable. Camilla on the other hand may not look great but has a sparkling personality. She knows how to converse and her presence (inspite of her looks) is very pleasing (don’t be surprised, yes it is me saying those words, and yes I am feeling well). She can make even an ordinary man feel very special. Camilla is eternally wonderful. I request all reading this to stop judging a book by its cover. Charles is a man with limited freedom. Responsibilities weigh more (in his mind) than his own choices. He married Di out of that responsibility. Perhaps things would have been better had Di been a better person. Camilla understands and nourishes Charles, she understand the requirements of being in a high profile relationship, she heals his wounds. That Camilla is as sharp as they can be is what is a foregone conclusion. Yet to me what finally matters is how much you are loved and respected by those who know you best. Thanks. I am glad you liked the pic. Now that you ask at Sachiniti the images used are those which reflect the mood of the post. I really spend time ‘digging them up’ as you say. One avoids using pics which are commonplace except when choice is not an option. I recall being emotionally greatly perturbed as well on receiving news of her death. Yes, her impact was so profound. Most of all it felt as though one understood her and her compunctions, vulnerability and choices. You begin with a statement which appears to be personal to the degree of being unforgiving. How can you be so sure of the assertion that ‘Di was a miserable person’ without being privy to her as a close confidante which none of us were. If you define ‘miserable’ as someone who is in misery. I wiould agree. Which woman would not be devastated if she overheard the absurdities being spoken to another woman by her husband? This is not about Diana vs Camilla..it is about disloyalty and adultery. Charles had no business to get married to a 19 yr old if he had feelings for another woman. And dont give me excuses like ‘limited freedom’ Shaan. If he could be so brazen to get married to Camilla after their clandestine and highly objectionable past while Diana was alive I am sure he could have summoned up the guts to choose her as his wife in the first place. Its just that it perhaps did not suit Camilla. They wanted to hold on to their respective lives and continue their behind the scenes liaison. Diana seemed innocent read inexperienced and someone they thought they could twirl around their little finger, not envisaging the huge fan following she would amass. There are women who love and there are women who are purely lovers, Camilla belongs to the latter group. Ofcourse there is another name for such women. If once six degrees of separation could connect us to anyone, then today four is sufficient. This world has shrunk into a global village. Some of us now “play” in the same playgrounds. If you define ‘miserable’ as someone who is in misery. I wiould agree. I am sure, like everyone, there must be someone in your life too (an associate or a distant relative etc) who you avoid because the person is just impossible to burden. Di was one such person. She and Camilla define the two opposite in people. One cheerful and optimistic and the another always pessimist and gloomy. It is very easy to be with Camilla (inspite of her looks) and very difficult to be with Di (inspite of her looks). Which woman would not be devastated if she overheard the absurdities being spoken to another woman by her husband? Charles had no business to get married to a 19 yr old if he had feelings for another woman. And dont give me excuses like ‘limited freedom’ Shaan. We all learn through experience. Yes he should have married a person unlike Di or more like Camilla in the first place. Hind sight is 20/20. Diana seemed innocent read inexperienced and someone they thought they could twirl around their little finger, not envisaging the huge fan following she would amass. Yes Di seemed innocent but turned out to be a back stabbing smart cookie. Allow me to interject that she even considered faking pregnancies to trap guys after her marriage to Charles ended (Read Ms. Tina Brown’s books on Di). Shaan argues for the sake of it. he enjoys being on the opposite side whether it makes sense or not. we had a chick like this in college..always looking for attention by saying bizarre things. It is not a crime to say something, what is wrong is to remain silent. I see Charles and Camilla and see a union of souls. Yes a Veera Zaara from the perspective that it took so long to cross all the hurdles. Hence atleast sit back and enjoy my imagination, why all this hostility ? Also consider this, if I was an attention seeker I would not post under a pen name. Some people are just opinionated. Some love to talk and discuss. Unfortunately for you I am both. (LOL). so am I..that is y i say what i have to say about u. if u can have an opinion on diana who u havent even met or spoken with but r going by vots written about her.. then atleast i can have one about you. I have read enuf of you here to have a view on you. It is true that you have not met me (that part is true, perhaps only that part is true). Yes you have a right to have and express your opinions too. Nonetheless look at it this way, I provoke you (as well as others) but I never attack you. I am polite even while arguing. Feel free to attack my comments. That makes a good debate. Tell me why you resent Charles (who after Di was free to settle with anyone, Shilpa Shetty would have married him) finding comfort in Camilla ? People have hurdles, some even self made, which prevent them from settling down with the one they love. Charles and Camilla I purport are two such people. After some real drama, a lot of tears, they finally found each other. For a while they sang, “Yeh Hum Aaa Gaye Hai Kahan” then they made sure that this cruel world (and especially one girl from India who resents their coming together) does not separate them again (they got married). We Wish this could have happened while Big B was singing the “Lodi” to Hema Ji. Today they are old, Charles cannot anymore run around and sing, “Main Yahan Hoon Yahan Hoon” to her anymore. But still they have a right to gaze in each other’s eyes and whisper sweet nothings. After all did you not see Metro ? If my Dharam Paaji can do it with Nafisa Khala, then why stop Charles and Camilla. Kya Yaar, Picture Nahin Dekhti Kya ? I forgot to mention, the name of this “one girl in India against Charles and Camilla” starts with the alphabet “N”. I cannot give you more clues on this issue, so don’t ask. Just cuz Charles is stuck in camillas pants is no reason for me to like her. for all i care he may be in love with Guddi maruti next. why he hangs on to her is hardly something i care to think about. As if he is the last word on what women should or should not be. and not just me any sane person does not care two hoots for her..its only certain people who use pen names beginning with S want to glorify these two. I think you have it wrong. I have no desire to glorify Charles and or Camilla. Yes I would like people to give them a fair chance. To me it is very clear that Camilla is Charles’ true love. Additionally what I am also saying is that people have unnecessarily turned Di into a saint. Think about this rationally, Di’s own children are now getting along fine with Camilla. Think about this, her own children (who are all grown up and need not pretend). who are we to give them a chance? They have taken all the chances they needed ..not even marriage could stop them from adultery. who said Di is a saint? is that the issue? I think any woman in her place would have behaved the way Di has..but all women are not Camilla to break marriages and then shamelessly carry on as if nothing has happened. I am uncomfortable running down someone who has left her mortal coils Shaan and I think we should accord those gone a certain amount of respect and dignity. While you have chosen to pick your responses you have avoided responding to the core argument which is ” this is not a Diana Vs Camilla debate”. Its meant to be a reflection on the predicament of a woman so blessed in ways most understand but in great anguish within. I would tend to agree with most of what neha has said. If you are inclined to justify/logicalse/rationalise an adulterous affair by an Heir apparent then its a choice you make. Imo, hindsight in marriage is applicable in circumstances when errors are to be rectified, faults erased to build a better future. We can continue to argue till Kingdom come on the issue. However, for me, Camilla and Charles will always be symbolic of a couple who behave irresponsibly and caused great suffering to another human being. No love story can have as its foundation such a sinful past. if you still want to look at it as the love story of the century I will disagree strongly. Love can be understood as a quality which nurtures giving, sacrificing, rejoicing in the others joy. It does not betray and ruin. If you believe this is not about Di Vs Camilla, then please don’t build up Di at the expense of Camilla. Leave Camilla alone. Bur if you do bring Camilla into the equation then don’t complain. You cannot eat your cake and have it too. More than most men, I do understand women’s predicament. Nonetheless you are using the wrong woman to be your poster child. The “saintly” image of Di exists because amongst other reasons, a lot of people have been gracious enough to be silent. Give me a strap hanging average commuter women trying to juggle between her job, her children and her personal moments any day. You do great injustice by giving so much importance to a common tramp, who attempted to fake a pregnancy in order to trap a guy into marriage. I have I think been pretty clear on my stand and views on the subject. Elucidation will only mean repetition. Diana was the most beautiful person I have ever seen. But is that the only thing that matters in marriage. When you charles and camilla they fit together as people who have grown old together which is true in a way. Diana was beautiful, lovely but she was also needy, clingy and pouting because Charles was not in love with her. Why didn’t he love her? He probably saw something beyong her face and personna. They could probably not hit it off together right from the beginning. There are 100 reasons for Diana not liking him but how can any man resist a beauty like Diana? Charles did and what more he had a dour looking, badly dressed Camilla as his mistress. Clearly there was something beyond beauty or personality that he saw in Camilla. We are always enamoured by outward beauty. All those scores of men and women who admired Diana saw only what she wanted them to see. Despite accusations, counter accusations, humiliation and embarassment, Charles stuck on with camilla and made her his wife. I guess it is time to accept that Diana and Charles were never meant to be. Its not about being beautiful and therefore deserving love. Its about Diana being a wife and being deprived of a loyal husband. Had Camilla been the wife and Diana the mistress, little in this post might have changed. What is disturbing is the ploy allegedly conspired between Charles and Camilla prior to the wedding of making a pact wherein the affair would have continued regardless of the marriage. Diana was a convenient pawn and one they would have liked to have as a quiet, unobtrusive presence much as a piece of furniture in Charles life. Can we hypothetically reverse roles and put Camilla as the wronged wife and Dian as the mistress? would Camilla then be the evangelical soul she pretends to be now or the cloying, possessive, nag that Diana is made out to be. Most women are the same underneath it all. The circumstances of their positions vary and thereofre their behaviour and not the other way round. What I am against is this analysing, re assessment of a decision as sanctimonious as marriage and the option of re-choosing your life mate over whimsical reasons or peripheral causes. Charles certainly had no business to begin on a fault finding mission until and unless he did not put himself in the center of the problem and a lead role player in antagonising a marriage. Every marriage is fraught with problems.. as no one is perfect. You have to endeavour to make a success of a relationship. That cannot come by if the next option ( Camilla) is within arms reach and reminding you constantly on what a superb mistress she is. this is no way to treat a marriage. If it was a situation of irreconciliable differences, divorce should have been sought and then Camilla should have entered their life. In this case adultery was simultaneously on from the very first day. Which woman can proceed to display angelic attributes under these horrific conditions?? I love Diana and charles did not deserve her,I watch Diana wedding as a child in jamaica, the whole island watch,Charles and his mother made Diana life a living hell,Charles and Camilla deserve each other, Camilla will never be the queen Diana would have been,and they way it looking right now queen Elizabeth has no intention of giving up the thrown any time soon.I hope Diana find the peace and happiness in death that she never had in life,We will always love DIANA SHE’S MY QUEEN. diana is diana and camilla is camilla . dont compare them . they have different personality . but i love diana . I think Charles got more than he wanted. How can he dump Camilla? He is stuck with her. She is self serving and so is he. He was never liked by his peers and Diana was wildly popular. He was jealous. The movie they released about the Queen is so slanted it shows the Queen confused as to the adulation Diana received from everyone in England and across the world. They use advertising to change peoples minds and to change history. We living in the current time remember Diana with love and understand the pain she felt by the betrayal of her husband and all his cronies, they all back stabbed her. Her sisters husband was the one in control of security and he pulled security off her so she was alone when she died. What kind of life did she have when everyone in it was jealous. She up classed them all and it must burn them up. Charles married Camilla to shut people up from saying it was a nasty dirty affair behind Dianas back. People in power always have followers just so they can be part of the scene. Bragging rights.